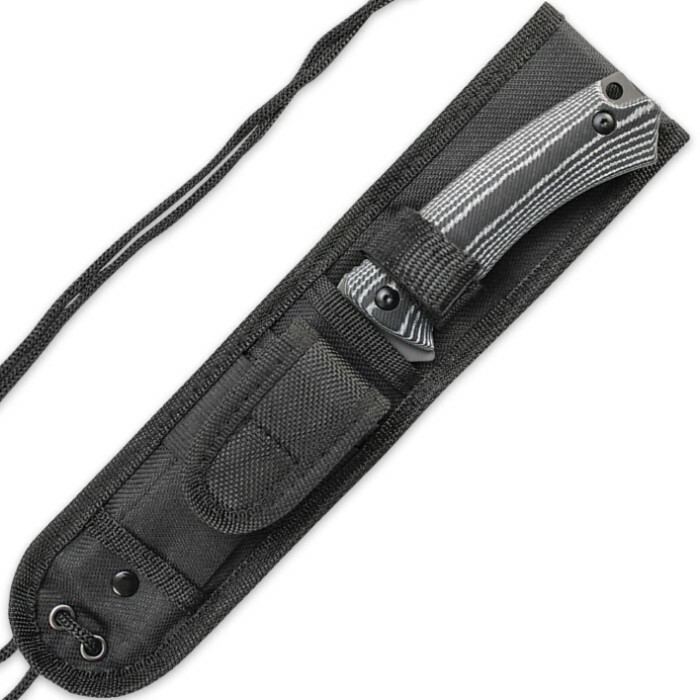 Schrade Picked Micarta Full Tang Fixed Blade Knife | BUDK.com - Knives & Swords At The Lowest Prices! 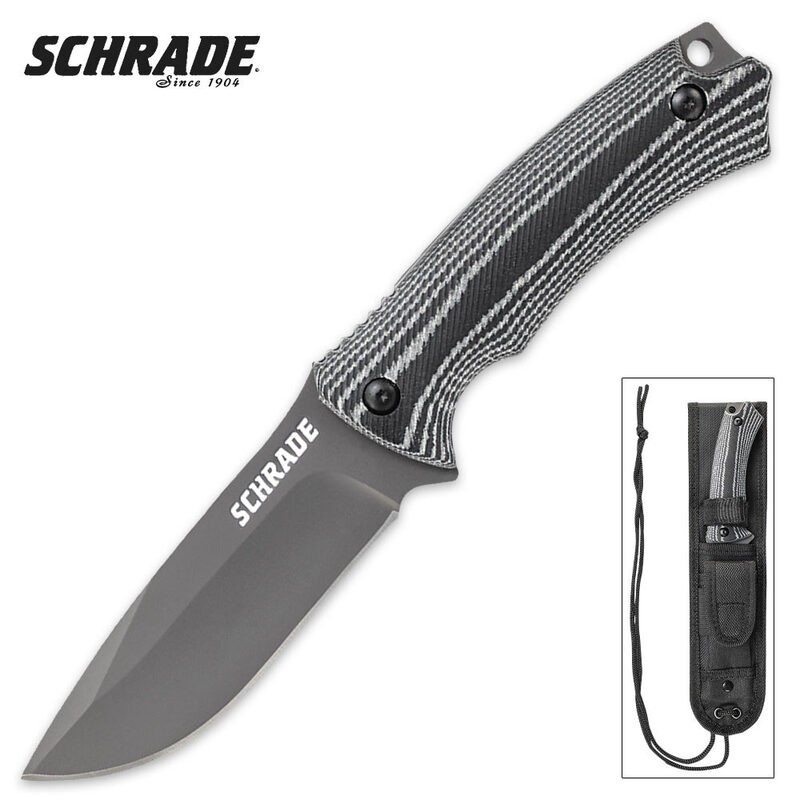 The Schrade Medium Full Tang Knife is the sharp, tactical knife that you can count on. This full-tang fixed blade knife has a titanium coated, digital urban camo coated, 8Cr13MoV high carbon stainless steel drop point blade. The handle has picked Micarta handle slabs with a thumb rest jimping, lanyard-hole, and the Schrade Logo Shield. A ballistic belt sheath is included.